Help Make Preservation a Priority! Columbus Metropolitan Library Northside Branch! The James B. Recchie Design Award honors excellence in urban design reflected in historic and new buildings and places, additions to existing buildings, parks, public spaces and public art. 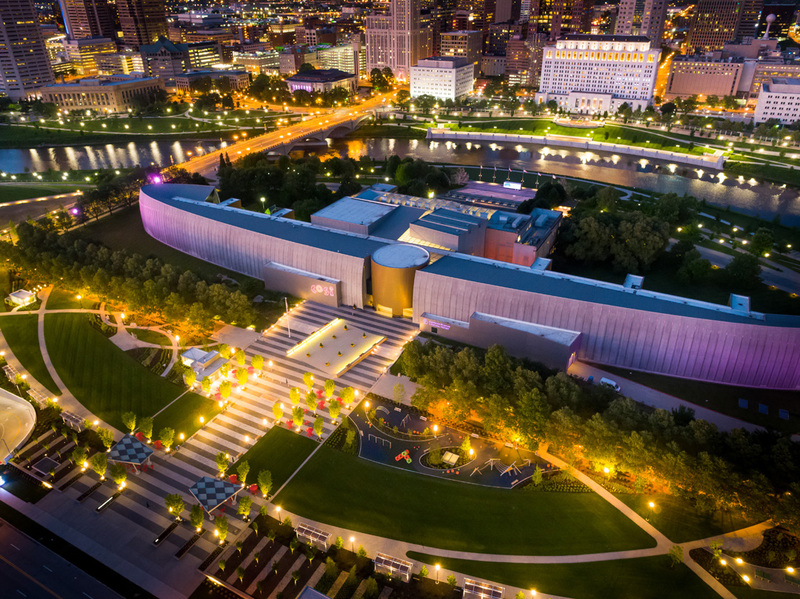 The award celebrates projects that add to the distinctive character and improved quality of life in Columbus and the designers responsible for them. The Northside Branch is part of a major building program being undertaken by the Columbus Metropolitan Library with the goal to create a “thriving community where wisdom prevails.” The building replaces an earlier and smaller building with a dramatic new structure that creates a powerful and distinctive presence along High Street in the Short North. It is defined by its bold form; open and light spaces; multiple areas for study, reading, and research; community meeting rooms; and public art. This library welcomes a diversity of people from the neighborhood and the broader city. 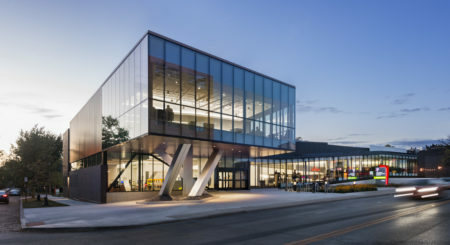 The library has seen a significant increase in usage at this branch since this well-designed new library opened in 2017. Dorrian Green is the latest addition to a collection of interconnected parks and greenways forming a comprehensive Scioto Greenways system. 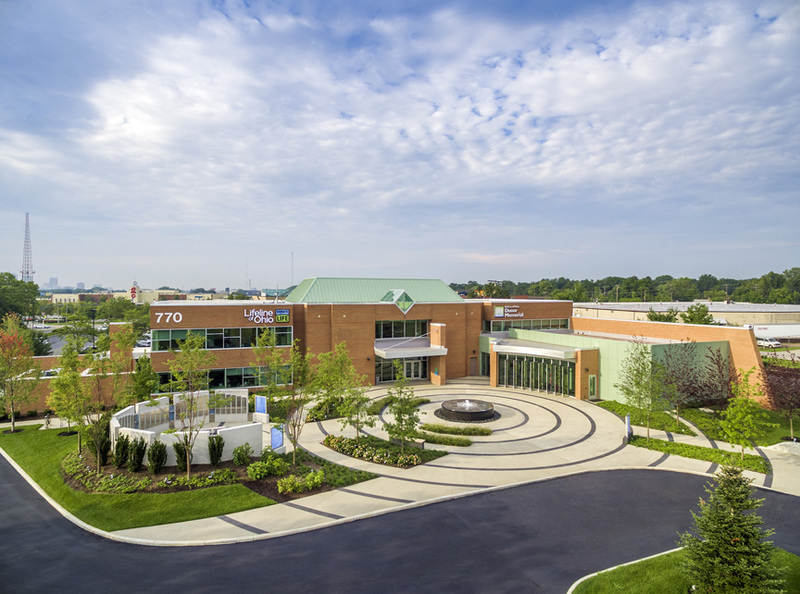 Built above an underground parking garage on the west side of COSI, it provides both an appropriate entrance to COSI and forms the centerpiece open space for an estimated $600 million of mixed-use development planned for the surface parking lots directly west of the park. The park contains themed gardens, an interactive fountain, open-air pavilions, and children’s and adult play spaces. It is a truly public space for people of all ages to enjoy. The Julian is an excellent example of how an underappreciated industrial building can be rehabilitated into high-quality and distinctive apartments. The building had been used as a storage facility for many years and was an eyesore on a prominent corner in the River South area of downtown Columbus. It took vision to recognize its hidden potential character and to take advantage of its strong industrial character throughout. New windows, concrete mushroom columns, high ceilings, and historic fire doors are among the features that give each apartment a clean and contemporary feel. This project demonstrates the power of preservation and adaptive use. 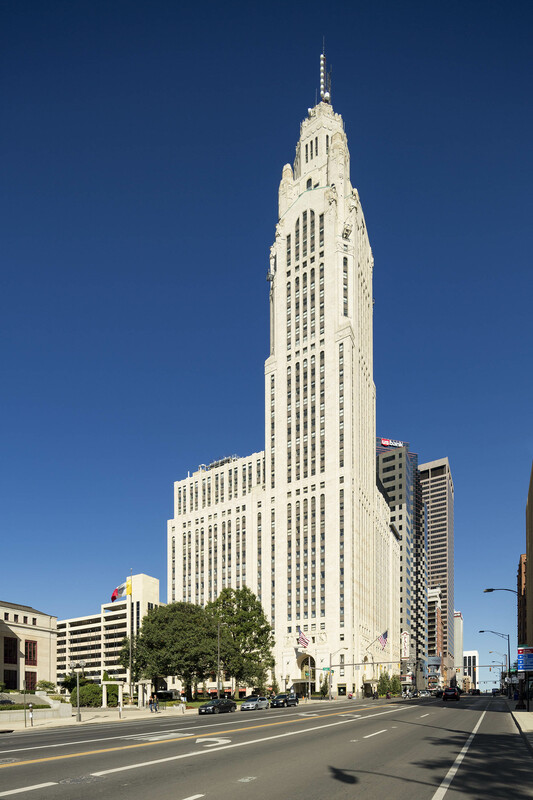 The LeVeque Tower is an iconic historic building in Columbus that was completed in 1927. By the early 2000s, the building was partially vacant and needed significant upgrades. 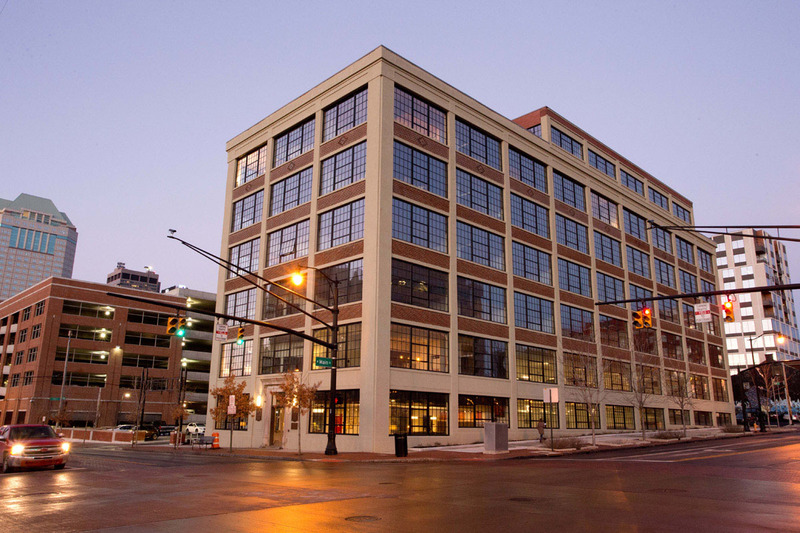 This project, which utilized both state and historic tax credits, has resulted in the complete rehabilitation of the building, and reuse as a unique hotel, office space, apartments and condominiums. The historic exterior was enhanced with reopened entrances with new canopies and landscaping. The interior historic lobby features were retained and a multi-story lobby was created for the hotel. All finishes are of the highest quality. This project places the LeVeque Tower back on the map as the center jewel of Columbus’s skyline. Designers: Rogers Krajnak Architects and EDGE Group, Inc. Owner: Lifeline of Ohio Organ Procurement, Inc. This Donor Memorial is a well-designed outdoor space that integrates elements of landscape architecture, architecture, and art, to create a serene and contemplative space. It is located adjacent to the Lifeline of Ohio building and it celebrates those who have donated organs and the lives they have saved. The fact that eight lives can be saved by organ donations from a single individual is reflected in the eight walled concrete panels that are part of the design, as well as eight glass panels with images of people. The memorial’s two fountains represent the Donor and the Recipient. In addition to providing a soothing sound that masks the adjacent traffic noise, the fountains are the source of the granite ripples that symbolize the ripple effect of how one gift of life saves many lives. • Dr. Melanie Corn is President of the Columbus College of Art & Design. An art historian by education, she is building a national reputation for the college and strengthening CCAD’s role as a leading cultural institution in the region. • Jim Houk, ASLA, AICP, is Vice President, Managing Director of Ohio, and Chairman of the Board of OHM Advisors. Jim oversees the Planning, Landscape Architecture, and Architectural practices firm wide. • Alan Weiskopf, AIA, Managing Principal, Perfido Weiskopf Wagstaff + Goettel, Pittsburgh. Alan and his firm have recently completed the $135 million historic rehabilitation of Cincinnati Music Hall. Joe McCabe, The Woda Group, Inc.
Laura Recchie, Root & Branch, Inc.